Saturday, the lovely weekend, and not only did it bring a lovely summer’s day, it also brought in the weekend staff at the local Tesco, who were much more intrigued by what a strange lady was doing with a notepad and a cameraphone in their shop. The manager very politely asked me if I needed any help and in the end, she was more than helpful, but more on that later. 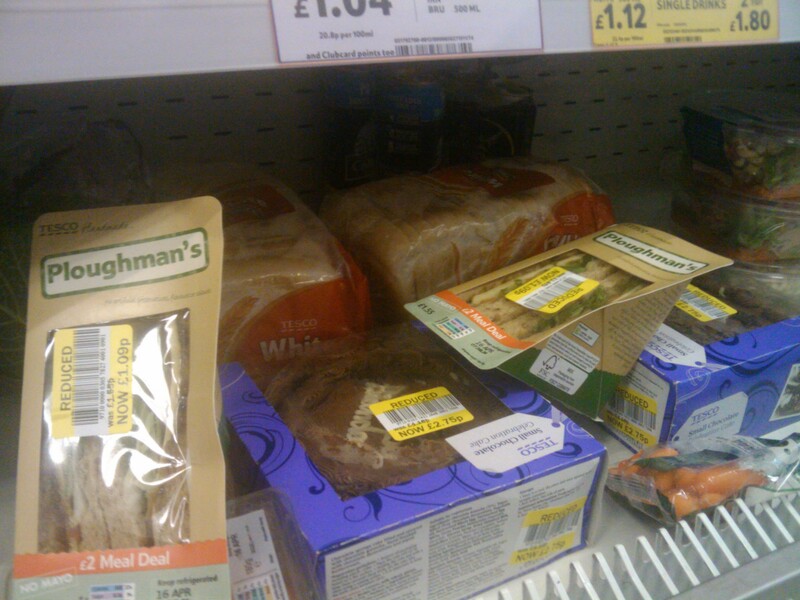 But as ever, more bargains to be had elsewhere in the shop! 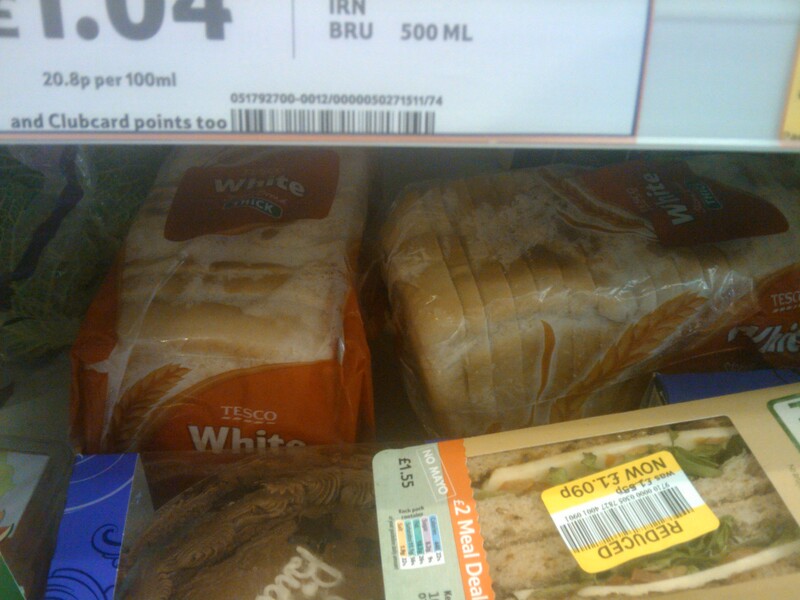 Pleased to see theyve got the bread in the aisle as well as in the bread section. 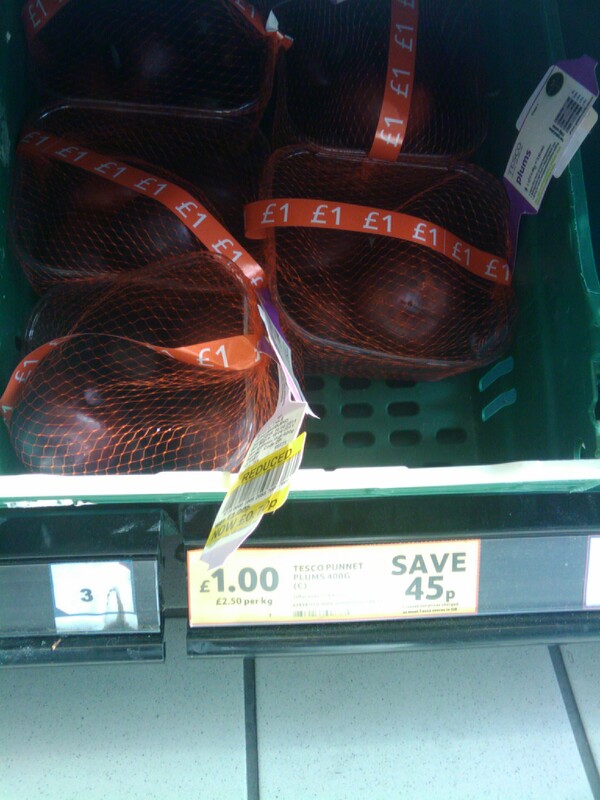 But, more interestingly whilst speaking to the manager – a very helpful lady might I add – she revealed the thing that this experiment has been looking to find….the pattern and the Tesco protocol for reducing items. 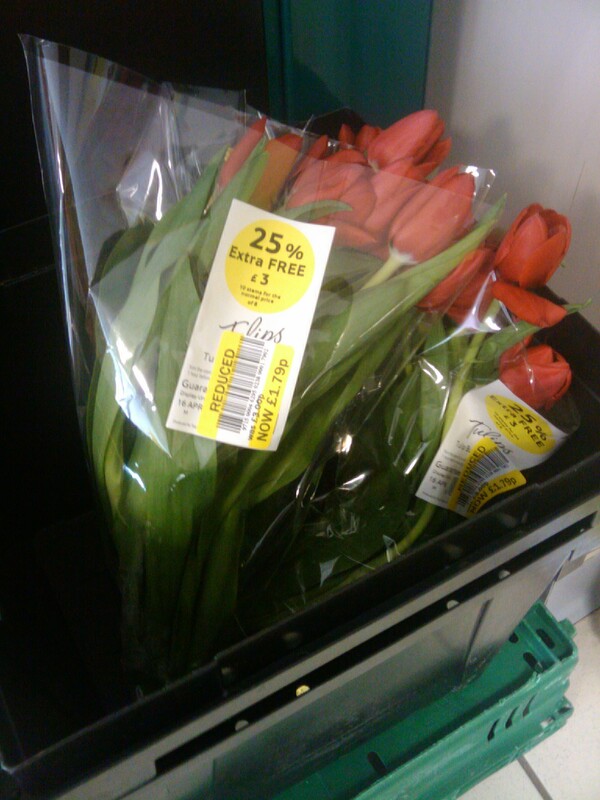 We try to get all the reduced stock ready between 11 and 1pm but it depends on how busy we are with deliveries. The whole purpose is to avoid any waste. 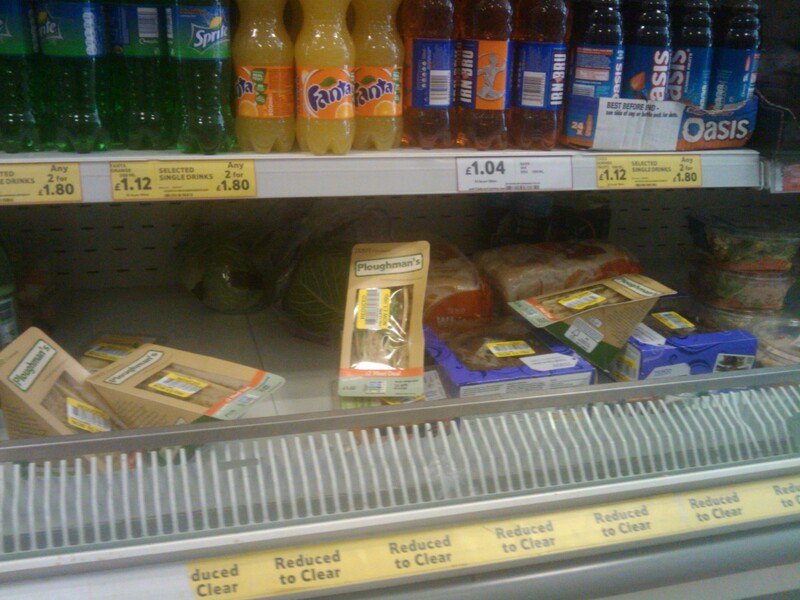 I then asked her about why some items aren’t put in the reduced aisle but, rather left on their original shelf. Good question, what we do quite often is put things in two places. Some people come in and go straight for the reduced items, others know what they want specifically and this gives us the best possible chance to sell them and reduce our waste. So there you have it – that definitely makes a lot of sense. For those who don’t normally go specifically to the aisle, it means they get the chance to buy what they orginally came in for, for a bit less and for raiders like us, we also get the opportunity to look at all of what’s on offer in one place. Smart move. But that only works when there is more than one of the item in question so it’s not a hard and fast rule, certainly. For me, the million dollar question was this: when do you then put an extra reduction on what’s left? You should stick around because we’ll be reducing them again in about half an hour. We have to reduce anything that’s left between 3:30 and 4:30. The machine does it all automatically. Right, so potentially the best time to go is between 15:30 and 16:30, particularly if you’ve seen that the reduction’s just happened. That’s certainly a step forward for me. 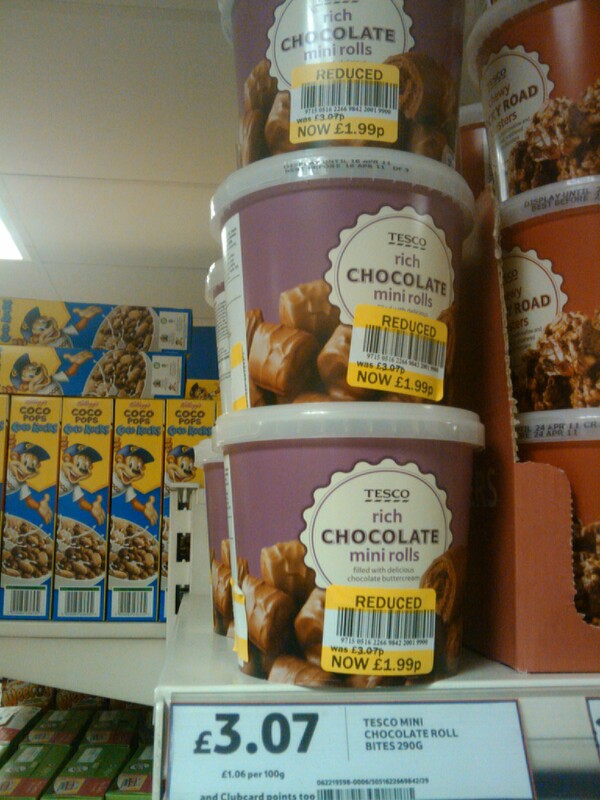 To add to that, my highly scientifc week-long research has shown so far that in most cases in Tesco on a first reduction, you’re looking at anything between 27% and 34% off but we’ll have to wait til tomorrow to find out how much off you can expect for that magic second reduction.